Related to the idea of a flatter shooting cartridge, and the reason why a flatter cartridge makes it easier to hit the animal within the vital area, is the concept of point-blank-range. 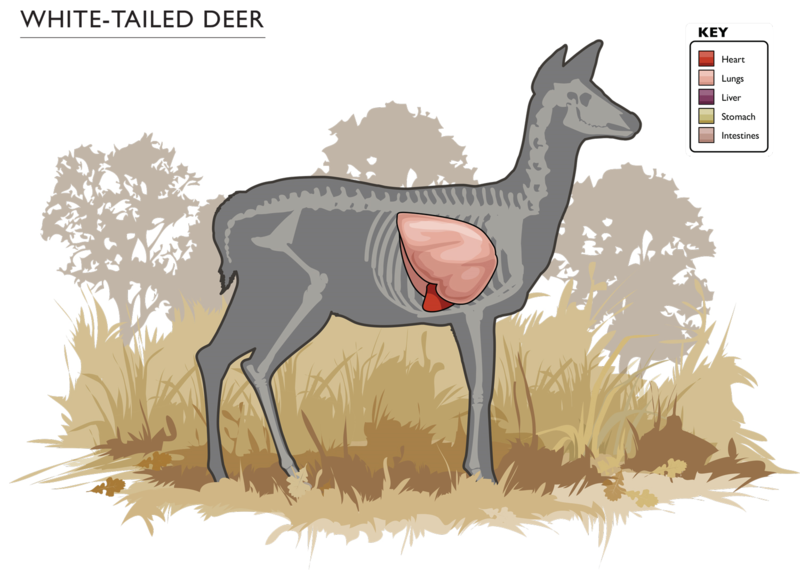 What is point-blank-range when hunting with firearms and why would it matter? As the answer to the question about flatter shooting cartridges states: "you don't have to get the range to the animal as accurately because the bullet is dropping less". The concept underlying this is the point-blank range, which is the theoretical maximum range at which you can hold directly on target (ie not adjust for range) and still hit it. 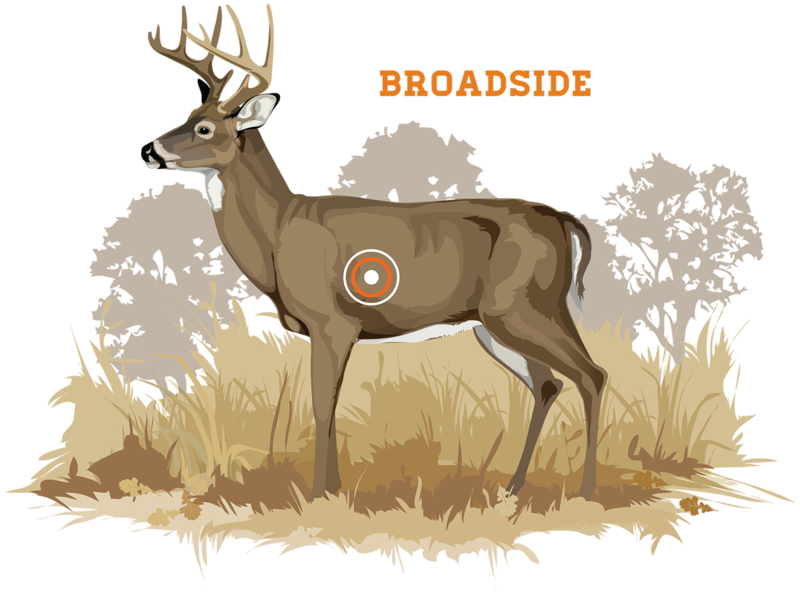 If the vital zone (the heart and lungs) of a deer is an 8" diameter circle, you can aim in the centre of it and, even if your bullet lands 4" above or below your point of aim, you will still have a lethal shot. What does this mean for point blank range? The PBR for the 45-70 is 211 yards with a zero at 181 yards whereas for the 300 Win Mag it is 325 yards with a zero at 277 yards. 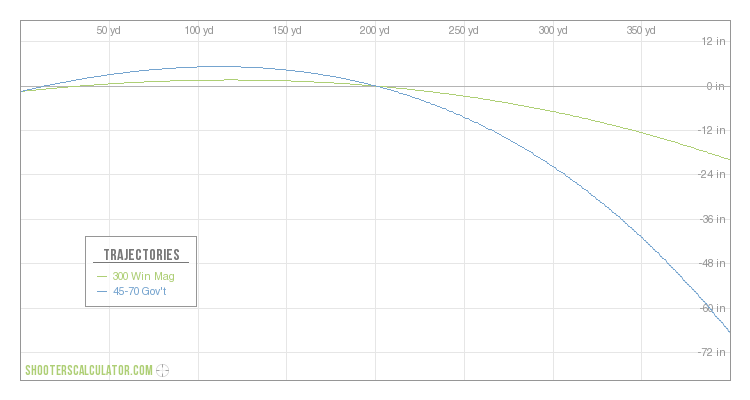 This means that you can theoretically lethally hit an 8" target at a much further range with the 300 Win Mag without having to compensate for range to target or the external ballistics of the bullet. All of that said, I don't recommend taking shots without some kind of range compensation. If you aim at the centre of a target at point-blank range, the bullet should hit at the bottom of its vital zone, but this would only occur in a perfect world. In reality, many sources of error are introduced, including the intrinsic accuracy of the rifle and ammunition combination, the ability of the shooter, the natural variation in targets, etc. In my opinion, we should all try and have the bullet hit the target where we want it to, and thus knowing the external ballistics of your bullet is more important than knowing the point-blank range. Not the answer you're looking for? Browse other questions tagged hunting terminology guns or ask your own question. What constitutes mountain exposure when hiking or scrambling?